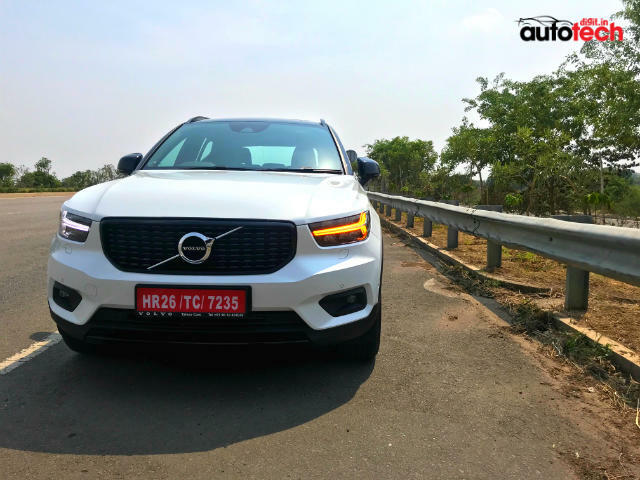 The new Volvo XC40 makes a delayed entry into the popular entry-segment luxury market in India, but has a lot of elements that make it a very interesting package. 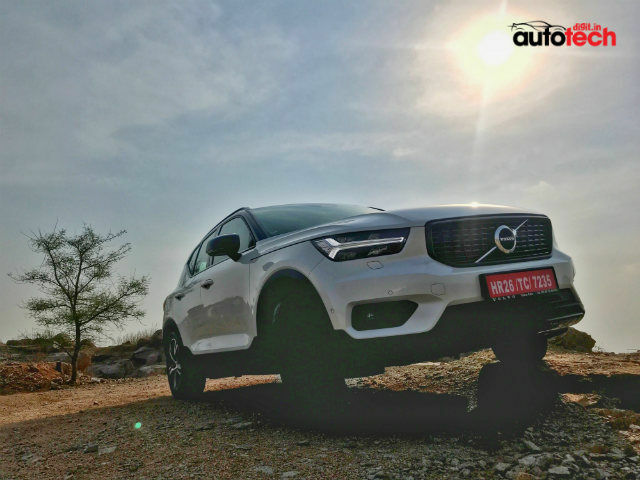 The 2018 Volvo XC40 is here in India, marking its entry in one of the most popular luxury segments in the country - compact SUVs. While the Germans still hold fort in almost all categories, Volvo’s cars have been well-received in almost every sense - suave yet recognisable designs, solid build quality with great overall quality of material, a long list of features, Volvo’s class-leading safety ratings and decent powertrains too. Going by the gradual expansion of its network and now a two-and-half-month waiting time for the XC60, the company is slowly raking in the numbers, too. Naturally, the Volvo XC40 is the perfect fit to continue Volvo’s upward surge in the market. SUVs are a raging trend globally (even Rolls-Royce and Lamborghini have come out with their own), and India is home to the trend of compact crossovers and compact SUVs. It is a bit of an oxymoron, because an SUV in the traditional sense signifies bulk, loads of space and utility, and a go-anywhere nature. But, with congested and narrow roads, how does the urban commuter satiate his love for SUVs? The answer, are cars like the Volvo XC40. In the present market, the XC40 joins the Mercedes-Benz GLA, the BMW X1 and the Audi Q3 at the very bottom of the luxury chain. 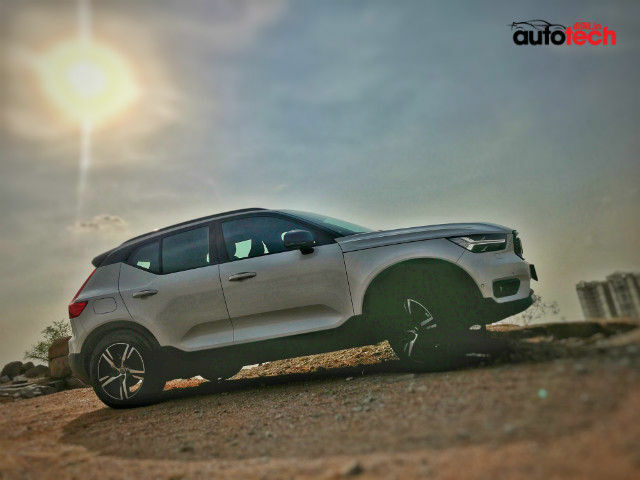 It is not a crossover, but has been built and designed from scratch to be an actual SUV, as Sudeep Narayan, Director of Marketing at Volvo India stated during the product briefing. So how, then, does India’s latest baby SUV in the luxury market fare? The one thing that I’ve always loved about Volvo’s cars is how they manage to look both imposing and elegant at the same time. There is a nice flow in terms of the design language - the sharply-bending tailgate, the signature tail lamps and ‘Thor’s Hammer’ LED DRLs and the rest of the body flow in unison in terms of design, and despite tweaking a range of things depending on which series of cars you’re buying, there’s not much that changes as you move down the pyramid. That particularly shows in the 2018 Volvo XC40, and you can see clear semblance to the Volvo XC60 and even the XC90 here. 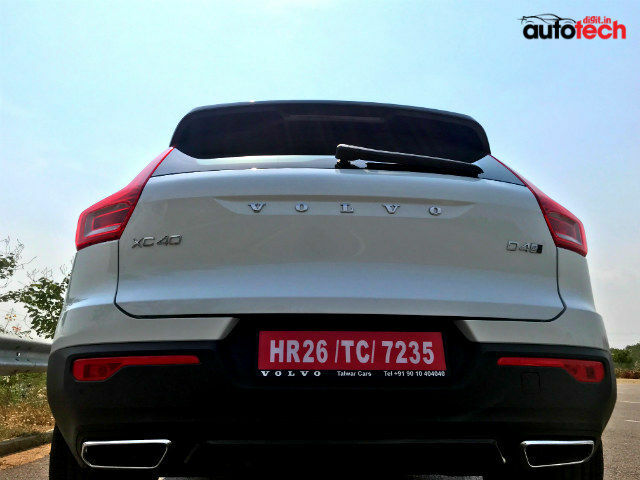 Volvo’s design language is apparent from the concave front grille, the typically angled tail lamps, the LEDs and the overall design of the body. The nose is sharp and angular, and the bonnet rises at a near-right angle from the slightly protruding lower front bumper lip. The wide wheel arches have 18-inch alloys sitting underneath them, but you can upgrade it all the way to 20-inchers. The tailgate, too, rises very sharply from the rear bumper, followed by the sharp inward bend of the C-pillar. 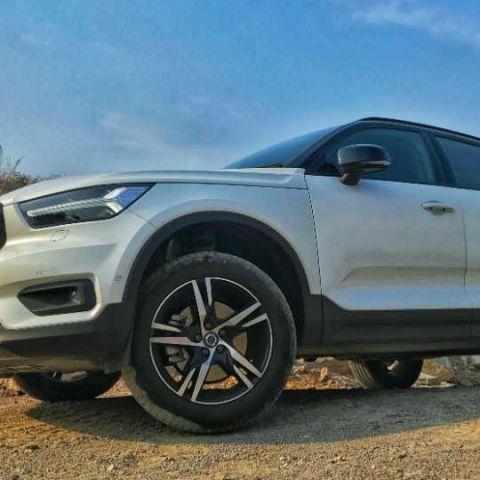 The India-spec XC40 will be offered only in the R-Design trim, which gets a contrasting black roof with blackened roof rails to complement the entire look. The only bit that I found tepid in contrary to its youth-oriented market positioning is the side panel - the indent near the car’s floor adds a bit of texture, but there’s no real flair like the side profile of the Mercedes-Benz GLA. I also found the C-pillar to be a bit too chunky for my liking, but what I found impressive is how typically Scandinavian and upmarket the tail end looks. The XC40 gets a rear spoiler, a crease in the middle with ‘Volvo’ splashed across, stop lamps on the rear bumper, twin-chrome exhausts and a scuff plate, making it a really smart design to look at. It also doesn’t look bulky, and is very well proportioned. The resemblance to its bigger brothers continues in the interiors of the XC40, too. The steering wheel has a familiar layout, and so does the overall dashboard design. There is a big, bright digital instrument cluster, and all the controls are minimalistically laid out. As with the bigger Volvos, you get Volvo’s Sensus infotainment display with a 9-inch screen. You do get a few physical buttons right below the screen, which include the emergency blinkers, defoggers, audio and volume toggle, a microSD slot and a Drive Mode button. Further down, you get a slot to stow away your smartphone, and this housing also has a Qi wireless charging pad. There are two USB slots with one that allows fast charging, and a cigarette lighter beside it. The central column has no toggles (unlike its bigger siblings), and instead gets a bunch of cubbyholes to store stuff, two decently sized cup holders, the gear knob and the electric park brake with auto-hold. The central armrest is not height-adjustable, but it does open up a decent amount of space inside, and also has an extra space. Volvo has also included a dustbin in the car with spring-loaded release to keep things tidy - a nice, thoughtful touch. To the rear, you get decent storage areas on the doors, and the bins for bottle holders can hold a one-litre bottle as well as some more (including a small slot on the door-mounted armrest for keys and spare change). 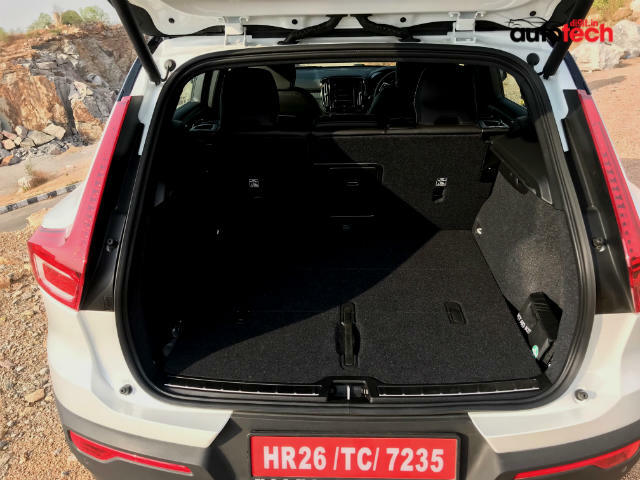 The central column gets no extra storage for the rear passengers, but includes a 12V power socket, dedicated AC vents and seat heating for rear passengers too, just like the Lexus NX300 luxury. It’s all quite good in terms of overall build quality. Most of the plastics feel of good quality, but there are a few ends where they feel a bit tacky, like the panel around the IRVM with the controls for the panoramic roof. The switch gear around the steering wheel are nice, but feel a bit too light. The leather-bound seats are pretty decent, too. 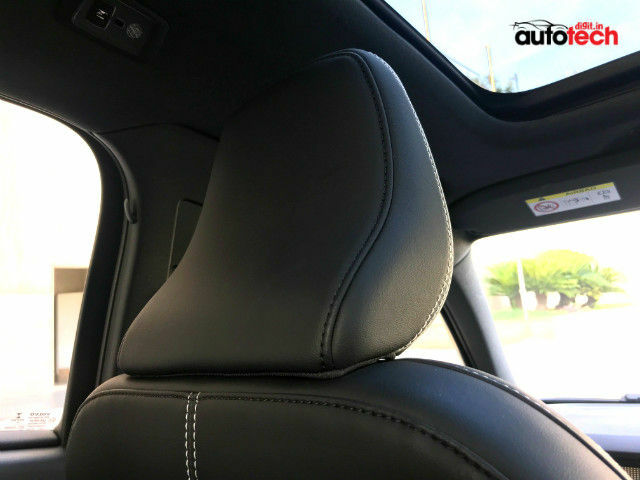 The front seats offer good bolstering, and can be controlled electronically to adjust lumbar support, recline, pitch and height. They are, however, a bit on the harder side, although even after a five-hour journey, it didn’t make us feel uncomfortable. The rear seats are similarly bolstered, although they feel a bit too upright. The central armrest feels a bit light again, but overall build quality is decent otherwise. The interiors are available in two colour schemes - only black and lava red, and are lined with faux wool. This material feels nice to touch, and work well as floor carpets. The lava red shade, though, is polarising, and is only available with the white exterior shade. It’s all lined up nicely in terms of aesthetics, and the cabin is a good overall place to be in. There is loads of storage too - along with the aforementioned ones, you get a decently-sized ventilated glove box, and there is space below the front seats to keep your tablet. The boot has a 460-litre volume with all seats up, and the parcel tray can be neatly stowed away underneath the boot floor. You get a space saver spare and a toolkit underneath the carpet, and there is no loading lip which gives way to a flat, easily loadable luggage area. There are also tons of hooks around to tether your luggage and not have them slide around during difficult journey. On overall terms, the Volvo XC40 scores well in terms of design, build quality and aesthetics. The exterior feels tall and upright, and doesn’t seem like a merely smaller, redesigned XC60. The interiors feel good too, and gets the same minimalistic treatment as Volvo’s other cars. There are a couple of things that could have been a bit better, but none that makes for a deal-breaker. It is here that the Volvo XC40 is heads and shoulders above its competition. The full list of its technology and electronics package include radar and infrared sensors to the exterior along with a central road-sensing camera and a rear-parking camera with parking sensors to the front and rear, electronic stability control with active torque distribution and permanent all-wheel drive, lane-keeping assistance, automatic start-stop, satellite-linked road sign recognition, adaptive cruise control, dynamic rear camera with one-step zoom, assisted handsfree parking, adaptive auto-bending lights, autonomous collision avoidance steering aid, driver distraction and fatigue alert, digital instrument cluster with embedded navigation, 9-inch Volvo Sensus infotainment system with Apple CarPlay, Android Auto and satellite-linked navigation system, 13-speaker Harman/Kardon stereo audio system with 660W amplifier and subwoofer, voice-based commands and controls, car status and performance logs, automatic climate control with air purification filter, heated front and rear seats, hill start-stop assist, electrically-adjustable front seats, wireless charging, electronic tail gate, cooled glove box and a digital instrument cluster to boot. Beginning with the radar elements, it is certainly dependent on lane markings and road signs, without which it will not work. On roads that do have markings, they work like a charm and make driving a breezy affair. 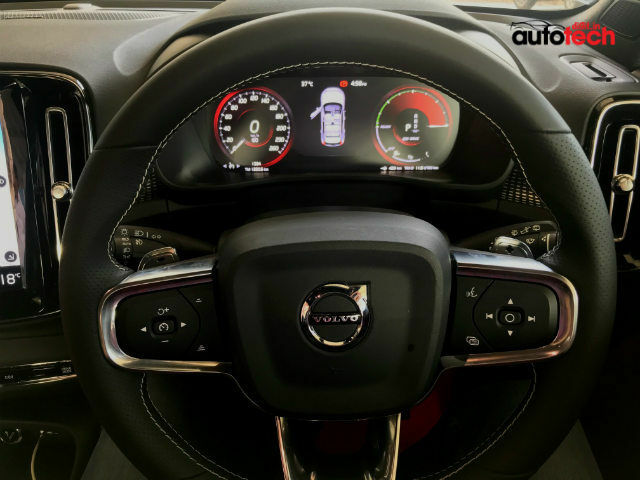 The purpose of the semi-autonomous technology onboard the Volvo XC40 is to assist the driver and not drive for him/her, and Volvo has included haptic feedback via the instrument cluster and the steering wheel to ensure that no one takes their eyes off the road despite the assistance. 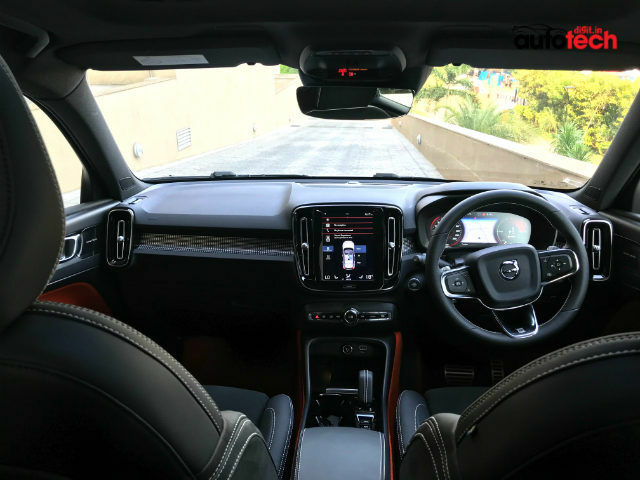 Nevertheless, the Volvo XC40 is adept at maintaining its lane by itself, and with adaptive cruise control, we actually went through stretches where we just sat as a passenger while the car steered, maintained speed and distance from surroundings all by itself. Again, do not try this just yet. What the XC40 misses out on is a rear-facing radar package, and simultaneously does not include a blind spot monitor, which would have made it even more adept. Still, this is only a glimpse of what is to come with future cars, and once you get used to letting a car steer for you at speeds of 130kmph, it becomes an incredibly relaxed affair to be on the wheels. 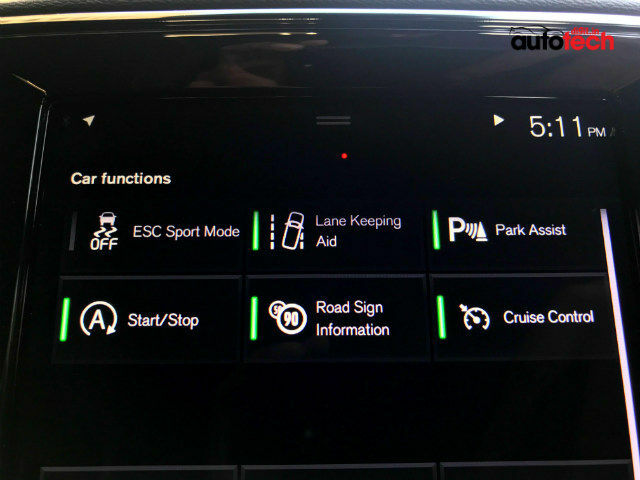 However, it does not brake autonomously, and if you do not respond to the driver alert warnings within five seconds, the car starts veering off course without slowing down. This is a bit of a flaw in the system, since in case the driver is unable to respond, semi-autonomous cars typically have inbuilt redundancy to slow down by itself, come to a halt, open doors and switch on blinkers by itself. The Volvo XC40 only starts alerting people inside the car, without doing the rest. 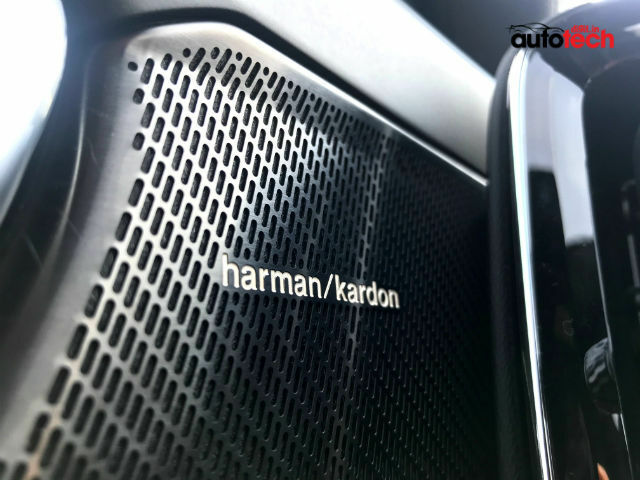 Fusing excellence into the semi-autonomous drive on the highways is the Harman/Kardon audio system, and it is by far the best-in-class. A total of 13 speakers and tweeters are placed strategically around the car, with the subwoofer mounted to the front of the dash and the air-conditioning vents reengineered to act as bass ducts. The surround mode allows you to select the degree of soundstaging that suits you, as well as select how you want the sound output to be - driver-oriented, front passenger-oriented or centralised for all passengers. You do not get a manual balancer for this, but it’s not needed. The Volvo XC40’s audio system delivers some of the best mid-ranges, with songs sounding wonderfully warm, clean, full-bodied and strong at volume levels even around 40. The Sensus system has been retained from the bigger siblings, which is a good thing. As always, it is incredibly smooth in response, and offers three screens from where you can control everything. 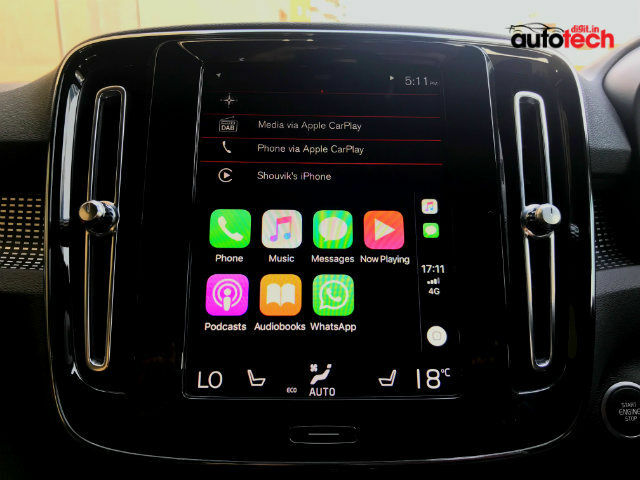 The left screen houses all audio sources, and shortcuts to access car alerts, audio settings, car settings and Android Auto/Apple CarPlay. The central screen has four tabs, each of which expand/collapse at one tap. The navigation system is smooth and responsive, and even offers PoIs and perspective views. It is satellite-linked to recognise speed limits and road signs (like ‘go slow’ and ‘school ahead’), making it a notch above most others. The screen also splits in half when you enable Apple CarPlay, making it the only system to do so among all the cars that we’ve used it in so far. The last screen is where you can make all the adjustments to the semi-autonomous systems, including disabling them if need be. You can also enable handsfree parking and rear camera as required, from here. The Volvo XC40 scores the highest in terms of its technology package, and there’s nothing else in this category that matches its sheer level of gadgets. You can also open the panoramic roof’s curtain to get a roomier cabin, and it also completely opens in half if you love driving top-down. The digital instrument cluster is slightly low-res, but you only see this upon closer inspection. It does a good job of showing all media and navigation data within itself, and you will never need to take your eyes off the road. The Volvo XC40 is coming to India with only one variant - the fully-loaded R-Design trim with Volvo’s D4 engine that produces 190bhp and 400Nm of torque. This is mated with an Aisin 8-speed automatic gearbox, fourth-generation Haldex intelligent all-wheel-drive system and, unfortunately, no air suspension. By default, it runs on incredibly good-looking 18-inch alloys and Pirelli P-Zeros are offered as standard tyres, which is absolutely brilliant. If you wish, this can be upgraded to 20-inchers. While the engine is fairly competent and is very well refined in terms of noise, it is not the most engaging or enthusiastic, in particular. It is strong, though, and all the torque comes in between 1750-2500rpm, which is around the band in which it feels the boldest. It feels like a strong engine that has a lot of body and enough power in the mid- and high-bands, but feels a bit strained once you push beyond 5000rpm. The eight-speed gearbox is an absolute charm, and shifts smoothly and adjusts ratios brilliantly in both highways and city snarls. You also get manual controls with the gear knob and paddle shifters, which allows you to hold revs and shoot out faster, but the default gearbox is fast enough and overtaking is never an issue at all. The steering wheel is delightfully light in city, and weighs up well to induce confidence on highways. It could have been a bit heavier and given a bit more feedback, which would have made driving the XC40 even more enjoyable. Not complaining here, though, the combination is a winning one and is enough to keep us happy. Volvo isn’t particularly gunning for high speed glory, as made clear with all the technology inside. Despite that, the XC40 isn’t a slow coach - our tests recorded 0-100kph in 8.58 seconds, and when you leave it to the auto ‘box alone in the flat-out Dynamic drive mode, it took 11.6 seconds to reach 100kph from standstill. It did feel a bit timid towards the end, but high speed braking fared really well, which induces further confidence in the car. The Volvo XC40 also gets drive modes - Eco for those obsessed with mileage, Comfort as a median with a slightly restricted engine response, longer gear ratios and a lighter steering wheel, Off-Road with active torque distribution and monitoring, Dynamic with flat-out engine, heavier steering response and shorter gear ratios, and Individual that can be configured from car settings. With the XC40 not getting air suspension, you can’t tweak that to your preference. Which brings us to ride quality - the high-speed ride is absolutely brilliant, ironing out any road aberration without breaking a sweat. It also feels particularly planted and solid, and while you do not get the pillowy floating effect of air absorbers, the steel springs with non-adjustable dampers do well out on highways. In city roads, however, it does show a bit of weakness. There is a slight sense of firmness on bad roads that makes for a bit of lateral movement. Nothing, though, is particularly jarring here, and you feel more or less comfortable all along. The rear seats, however, could have and should have been significantly better. While legroom, head and shoulder spaces are all more than enough for six-feet frames, the seats themselves are rather hard and a bit too upright, and therefore gives the tendency to feel a bit stiff after a point. Sitting three abreast may be a bit of an issue too, since the bench is not particularly wide. You do feel the slightly higher stance of the XC40, and there is a little bit of body roll particularly if you approach corners too fast. All things considered, the Volvo XC40 is a winner in our books. It presents an excellent entry point for luxury SUV buyers who are looking beyond the already-available options, and makes a particular splash with all the technology inside. The semi-autonomous technology works and is reliable as long as it gets its supply of road signs, the audio system is fabulous, and the car gets enough electronics to keep you happy. It is also fairly comfortable, presenting good ride quality with a well-bodied engine and an excellent gearbox. Add the faux wool aesthetics and Volvo’s minimal approach to the inside and slightly snazzier exterior, and you have an SUV that can actually be a runaway hit. In Europe, Volvo has already gathered over 80,000 pre-bookings and is dedicated its entire production line in Belgium to the new XC40, and will hope that it gets to do the same in India, too. So, should you buy it? The Volvo XC40 D4 R-Design AWD (the full nomenclature of the car) will come only with the top-spec variant, and will target the Audi Q3 Quattro Technology and the BMW X1 M Sport variants, which sit at the top of the entry-level SUV offerings. As a result, we expect the pricing to be somewhere around Rs. 42-44 lac, possibly undercutting its rivals by a lac or so. 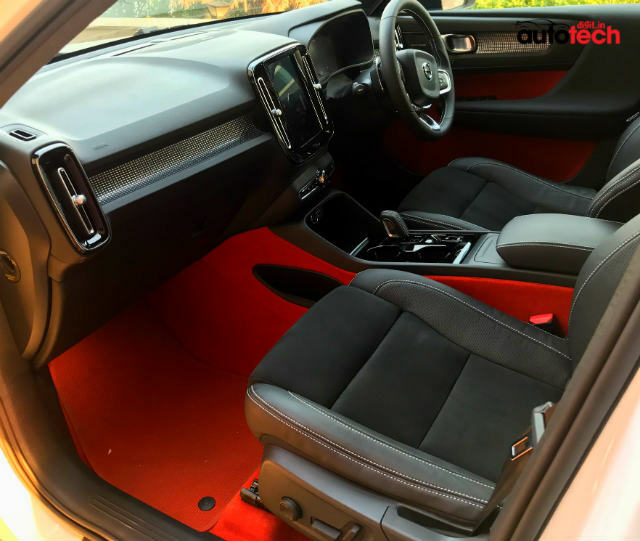 If you have this sort of a budget, the Volvo XC40 is definitely a good purchase, one that satiates the demographic’s demand for SUVs and offers a brilliant array of technology and features. 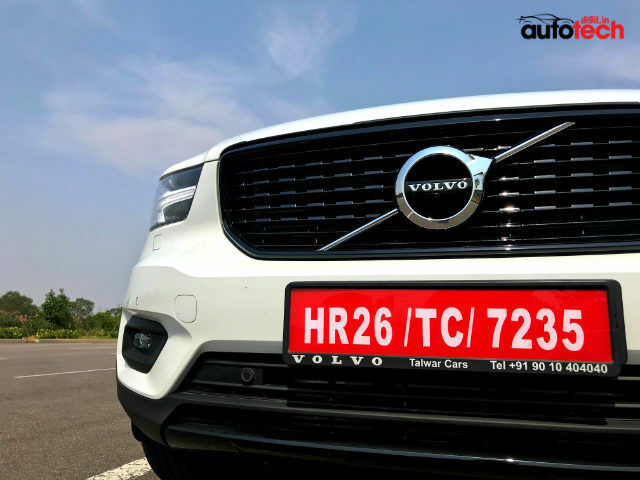 There is nothing that will disappoint you about the 2018 Volvo XC40, a factor that may make the XC40 a major hit for Volvo in India.